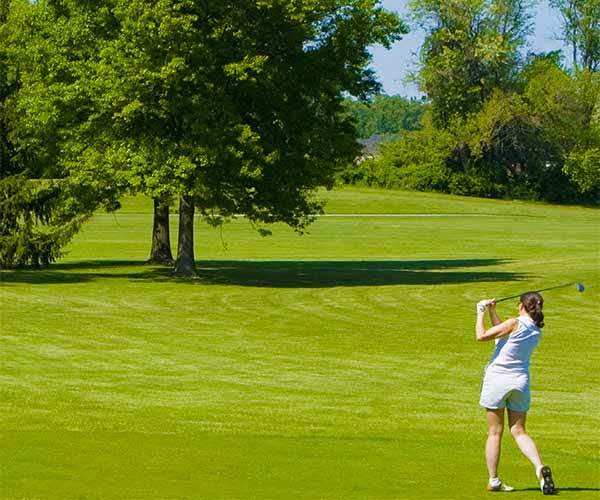 These private and semi-private Saratoga golf courses and clubs provide you with an opportunity to enjoy any of their extensive facilities and amenities at your leisure. Courses range from golf-only facilities, to memberships that include a full range of services and amenities to meet your every need. Dining and catering facilities may be open to the public for weddings, banquets, and other special events. The course at Pinehaven brings you through the Historic Pine Bush Area of Albany County & is one of the most beautiful and challenging courses in the area. Pinehaven's incredible conditions assure enjoyable play for golfers of all skill levels. The Ballston Spa Country Club Inc.
"The Capital District's Best Golf Club Value". A Member-owned, Semi-private Club, open to the public, Monday through Thursday. Located on Rt. 67, just minutes from Saratoga Springs and downtown Ballston Spa.